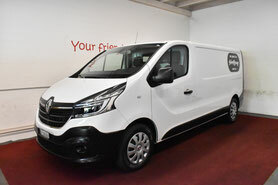 We would be pleased to receive your booking request for our Renault Master or Renault Trafic. We will contact you as soon as possible during our opening times, usually within 2 hours. For individual inquiries, please use our contact form or give as a phone call. Since we have closed on Sunday, 1-day bookings on Sundays are not possible. In this case, the vehicles can be picked up the day before (Saturdays between 9am and 2pm) for the 2-day rent. Also it is not possible, to rent a moving van for half a day on Saturdays and Sundays.